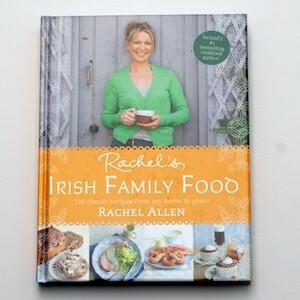 Rachel's Irish Family Food Cookbook. Heat the sunflower oil in a saucepan over medium-high heat. Add the bacon and saute for about 1 minute, until crisp and golden. Add the butter in the pan and melt. Then add the leek, carrot and potato. Reduce the heat to low and saute gently for 4 to 5 minutes, until soft but not browned. Meanwhile, prepare the cockles and mussels. Scrub the shells clean and discard any that remain open when you tap them against a hard surface. 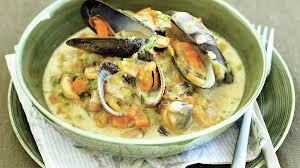 Remove the beard — the little fibrous tuft — from each mussel. Bring the wine to a boil in a large saucepan and add the cockles and mussels. Cover with a tight-fitting lid and cook for 3 to 4 minutes, shaking the pan occasionally, until the shells have opened. Remove from the heat, drain the shellfish in a colander (reserving the cooking juices) and discard any shells that remain closed. 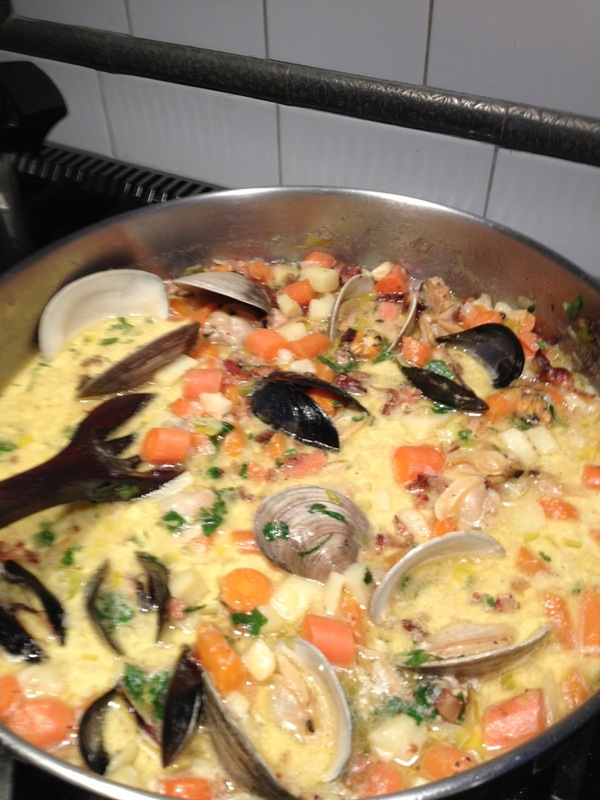 Return the shellfish to the empty pan to keep warm. Place a fine sieve over a measuring cup and strain the cooking liquid. You should have at least 2 1/2 cups; if not, add water to make up that quantity. Add the pan juices and the milk to the bacon and vegetable mixture and bring to a boil. Decrease the heat and simmer for 6 to 8 minutes, until the potato is tender. Add the cream and simmer for another 2 to 3 minutes, until the soup is reduced and thickened slightly. Season with salt and pepper. Meanwhile, remove half of the cockles and mussels from their shells and add them, with the remaining cockles and mussels still in their shells, to the chowder. Stir in the parsley and serve at once. Here is my version and it was delish! 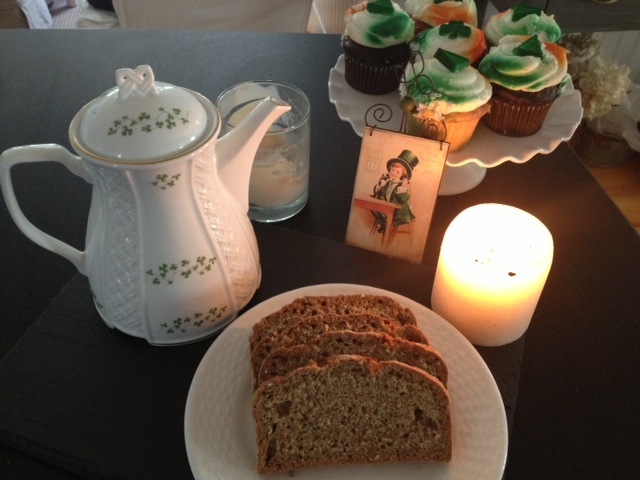 I hope you had a great St. Paddy's Day! Looks yummy! Hope you are well.